Crystals are beings of solidified light. They have been a part of our journey since the beginning of time. They have made their way into ancient myths and folklore and into modern healing methods. A lot has been written about them in terms of their physical and metaphysical properties but very little about understanding and connecting to them. Like every other being of light they are easy to connect to and learn from. The mineral kingdom can offer us great learnings, wisdom and perspective since they have been here before us. Here’s a way to understand them and use their wisdom in our own lives. • Sit in a quiet and comfortable place. Shield and ground yourself. Do your invocation and allow Reiki to flow through you in ways that are for your highest good. • Place the crystal you wish to explore in front of you, close your eyes and focus on your breath for a few minutes allowing your mind to relax. • Once your awareness has moved inside the crystal, notice how the inside of the crystal feels? Ask yourself the following questions: how is the texture in the inside? 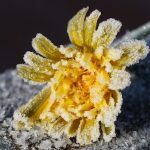 Do I experience any change in temperature? Does the space feel expansive or restrictive? What emotions am I experiencing? Explore these questions for a few minutes. • Next move your awareness to your hearing and notice if you experience a sound? Ask yourself if the energy of the crystal was to be expressed as a sound, what sound would you perceive? And dwell on the sound for a few minutes. • Take a few minutes to breathe in the energy of the crystal and notice if it reminds you of anything? If the energy of the crystal was to be perceived as a fragrance, what would it smell like? And also notice if there is a quality of taste? And focus your awareness on the smell and taste for a few minutes. • Visualize that you open the eyes of your imagination and that you can see the energy of the crystal around you. This may take any form, color, pattern, shape, landscape or figure. Also notice if any memories get resurfaced. 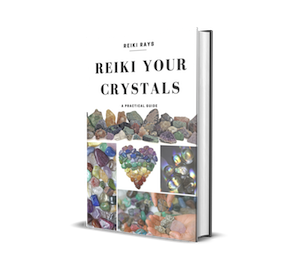 • When you feel you have completely explored the crystal, spiral your awareness back into your Third Eye and ground yourself. • Make a note of the experience. I have also made a worksheet that you can use to help you with the process. The more you do this exercise and with different types of crystals the more you’ll be able to expand your awareness about them. Since crystals have a higher realm of consciousness doing this also helps raise your vibrations. The technique may not directly help you heal but the guidance and wisdom received from it will allow you to progress along your path a lot smoother. This technique is a modified version of a shamanic technique which allows the shaman to merge himself with other people, objects and elements to help the shaman break away from experiencing the world only from his ego perspective. Hence doing this exercise will also help you in becoming more creative, looking at problems from different approaches, using divination with more clarity, easier channeling and flow of energy including Reiki.